Mr Genton, you took the helm at Porcher Industries in 2016. Can you tell us what you were doing before and how your appointment came about? André Genton: Previously I held senior positions with Ciba-Geigy, Vantico and Huntsman. As president of Huntsman Advanced Materials, I oversaw a $1.5 billion global business operating in many of the same markets supplied by Porcher. I then worked with the Axson Group to focus rapidly on the acquisition of Porcher Industries by the Warwick Group and that took over two years ago. Knowing the future was going to be so exciting for Porcher, I then persuaded Warwick to take me on as CEO and chairman of the executive board. 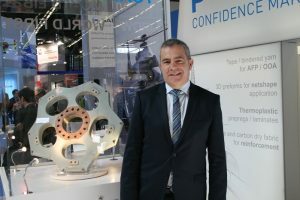 I have come to Porcher with more than 20 years’ experience in the composites and polymer industries and have a true passion for the innovative chemistry that makes up the DNA of the group.